How do we train you to achieve what, for now, may seem to you to be supernatural feats? It’s quite simple in fact. You are about to fully understand the simple underlying secret behind all of reality. This is the final unifying frontier of mind & matter. In July 1998 we wrote a revolutionary article, still posted on our site, which explained the location of the Mysterious Universal Mind (collective unconscious) of psychoanalysts, quantum physicists, mystics and spiritual believers. In this article, we stated that we, as humans, can all connect to this Gigantic Mind unifying all of us across time, space and far beyond. In fact, we ALL do so every night as we quiet down our individual linear thinking minds and enter the area of unconscious sleep. We contend that all minds are connected to a Gigantic Cosmic Mind, which is called the collective unconscious by psychoanalysts and psychologists. Our goal is to help you bring it to conscious awareness. Throughout our writings on this site, we have explained how this Cosmic Mind goes well beyond the level of the collective unconscious of man. It also governs the natural and biological worlds and much, much more. It is Infinite Intelligence Itself. It is non-linear in nature, but allows for linear processes to operate within Its Infinite Self. When human beings sleep, their brain rests and their linear-thinking-mind lowers its electrical activity to below 4 cycles per second. The brain vibrates at a low hum and stops filtering the awareness of the Higher Mind and stops overlaying it with our own conscious thoughts. At that level of quiet and barely active linear mind, we enter the Universal Mind and lose our individual consciousness as we go into unconscious sleep. In 1996, as the cold war died down, many teams of highly specialized former psychotronic military and intelligence agents came out in the open in the US and across Europe to disclose the operation of mind-to-events and mind-to-mind covert operations in which they had been involved. In the dark era of paranoid psy warfare between the Western and the Eastern block, several sophisticated and brilliant scientific minds were gathered in the West in order to breach the ultimate frontier of mind/matter and affect mind-to-event viewing. This is Remote Viewing and Sensing, which is the ability to view/sense remote events and remote locations in the screen of your own mind. These great minds were also asked to try to increase our ability to Remotely Influence present or future events (life manifestation) and people (telepathy) through mind power alone. Much technological gadgetry was tried and sometimes even used. The “secret” of manifestation was being applied in a twisted manner, as it happens with most of man’s illusory temporal dreams for conquest and power. Nevertheless, great strides were being achieved at the same time, and success was noted and recorded (although much of it is still classified). All Remote Viewing and Remote Influencing operatives’ successes were carefully monitored and recorded using highly sophisticated scientific devices. Many classified training protocols and modalities were devised in secret government labs and implemented in order to induce these supermind states and feats. One particular event noted as an interesting by-product of successful remote viewing was the fact that while successfully remote viewing distant targets or remote influencing events, these remote viewers would show a pattern of theta slow waves (4 to 7 cycles per second; usually indicative of a very relaxed and quiet mind state) on brain encephalographic electrical-brainwave recording machines. Nothing much was made out of it in the US as most scientists were bent on finding and detecting “physical” external mind waves in the ether and not looking inside of each of us. In 1995 a small group of former viewers started to operate in the public arena as the CIA and DIA declassified most of its Remote Viewing information for the general public. William Ross Adey, M.D. 1922-2004, Professor of Anatomy and Physiology, Los Angeles, wrote in the 50’s about the relationship between the deep Theta state 4.5 cps and the ability to Remote Influence others. In his pioneering work, Dr. Ross Adey determined that emotional states and behavior can be remotely influenced merely by placing a subject in an electromagnetic field. By directing a carrier frequency to stimulate the brain, and then using amplitude modulation to shape the wave to mimic a desired EEG frequency, he was able to impose a 4.5 CPS theta rhythm on his subjects. Although he used physical protocols (microwave radiations) to induce such a state and achieved results, he never could really give an explanation as to WHY this deep meditative brain state and its associated physiological brainwave state were needed to achieve success. Although the deep Theta phenomenon was scientifically recorded and duplicated, no one gave a logical and coherent explanation as to why this stage of mind, epiphenomenally associated with 4.5 CPS brainwaves, was inducing such extra-ordinary mental abilities. Until now, few have really understood or integrated the fact that we are still, at a very deep level of mind, the collective unconscious. This collective unconscious, as a subpart of the Universal One, takes care of ALL of humanity at once. Unleash the High Mind’s Power within You…. The Real Secret Behind the Mind’s Frontier…. In 1997 many former Western psy operatives and scientists began sharing some insight on the recently declassified very mechanical protocols favored by the intelligence establishment. Many news organizations, radio shows, and TV documentaries extensively reported on what appeared to the general public to be a very exotic topic formerly reserved to the realm of science fiction and X-Files shows. We then came out also in the open, and revealed in 1997 a totally different approach. We openly declared that the “secret” to Remote Viewing lies in the ability of successfully positioning one’s mind at the border of sleep in a very deep Theta 4.5 cycle per second brain state. At that level of reduced brainwave activity, the ‘conscious’ human mind can access information originating from the Cosmic Collective Unconscious Mind. Our Remote Viewing course trains anyone to do so. 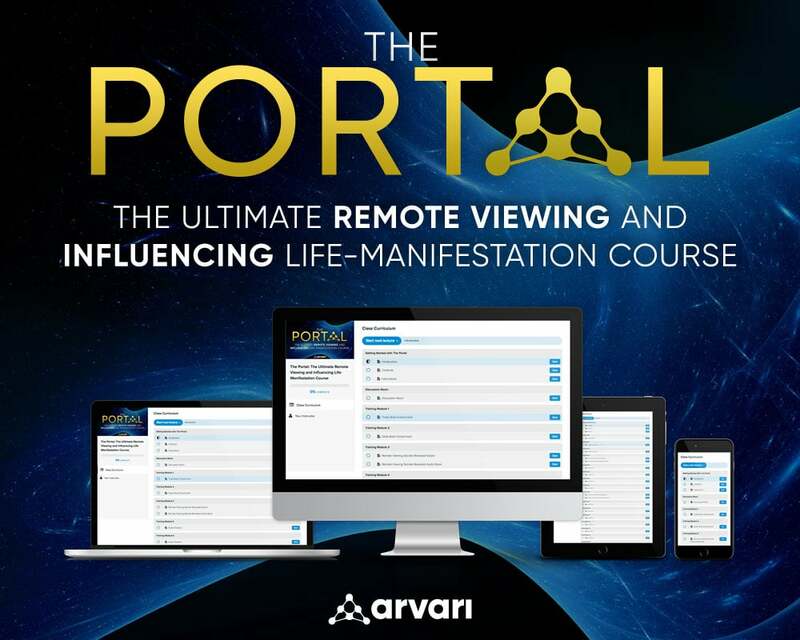 ARVARI is a pioneer of Remote Influencing and was the world’s first mind science institute to introduce Remote Influencing training protocols in 2002. This training allows anyone to enter the sleep state (Delta state with brainwaves below 4 Hz) while retaining full awareness. In this state, they can carry out advanced Remote Viewing and powerful Remote Influencing. At that level of mind operation, you merge the sleeping world (Universal mind) and the waking world, as you stay awake and conscious even as your body rests and sleeps. We and many very advanced mind labs have shown that the brain – man’s electrical thought expression machine, operates above and superimposes over a much deeper and far more intelligent and wiser Greater Reality: The Universal One Mind. It is by learning to quiet down as much a possible our electrical brain electrical frequency while still remaining aware that we can connect to that interconnected reality which links all things and beings, and learn to collect information and influence perceptually disconnected realities through Its linking processes. More than just writing and speculating about this, we taught our students how to easily reach on command these very states of mind using very powerful and effective training protocols. The revelation of this inner portal to Higher Mind which we all carry became our goal, and we knew that nothing we said could prove it short of directly experiencing it by our trainees. When we first shared this knowledge, the response from the former military and intelligence community was to scoff at it, since this notion of the Unity of all men was very difficult for them to swallow. Why provoke peace when conflict is what you are all about? In 1997 there were only seven sites worldwide speaking of Remote Viewing, including ours. 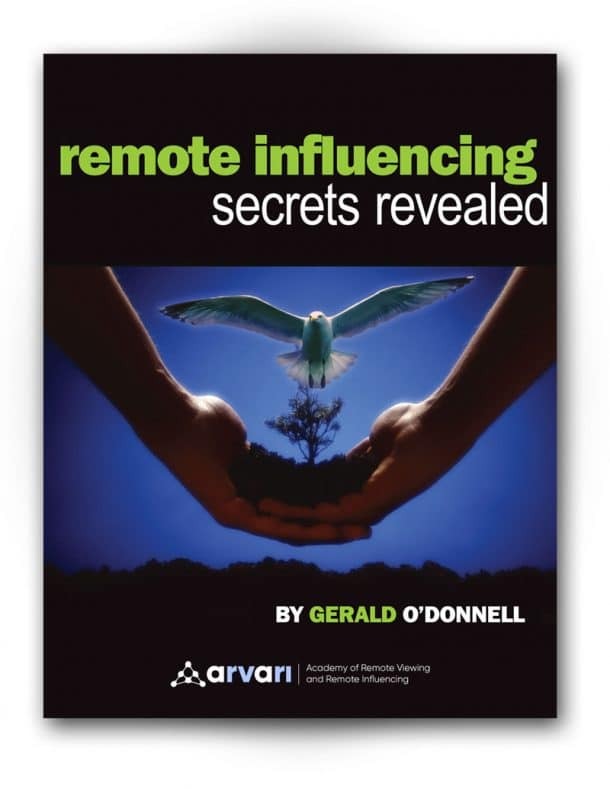 We were the first Remote Viewing institute to introduce the term “Remote Influencing,” speak about it and explain it. Today millions exist and more spring out in the open as we write. Many mind training organizations seeing experimentally that a theta brain state was synonymous with supposed “psychic” powers, began training people, often using special sound or light techniques to achieve the theta state of relaxed mind. These sound techniques (holosync and binaural) are only effective in putting people in the theta state (delta cannot be reached by sound/light techniques alone as you would automatically fall asleep). But these institutes did not instruct their students as to what to do as you went there. Many individuals seeking Higher Mind powers were left in limbo. None of these institutes really explained and revealed why theta or delta mind states allowed one to access these very powerful inner mind states, for such a simple but powerful realization was outside of their inner programming. We were disappointed to see this trend. What is the use of putting you in a Higher State of mind, and not guiding you as to what it is, how to really operate at that level, how to explore it and make use of it? What use is it to guide you to a new operating system of the mind and not gift you its owner’s manual? Later on, once we had shared our knowledge freely, many of these institutes reproduced the information we had posted in 1998. Atleast, we are happy that the knowledge is being made freely avaialable to all, and at long last, every human being now has the opportunity to channlize higher levels of consciousness. Recent Advances and Research in the Perception of Space/Time Reality.